A team of four Computer Science students from the Faculty of Information and Communication Technology (FICT) shone for UTAR once again. 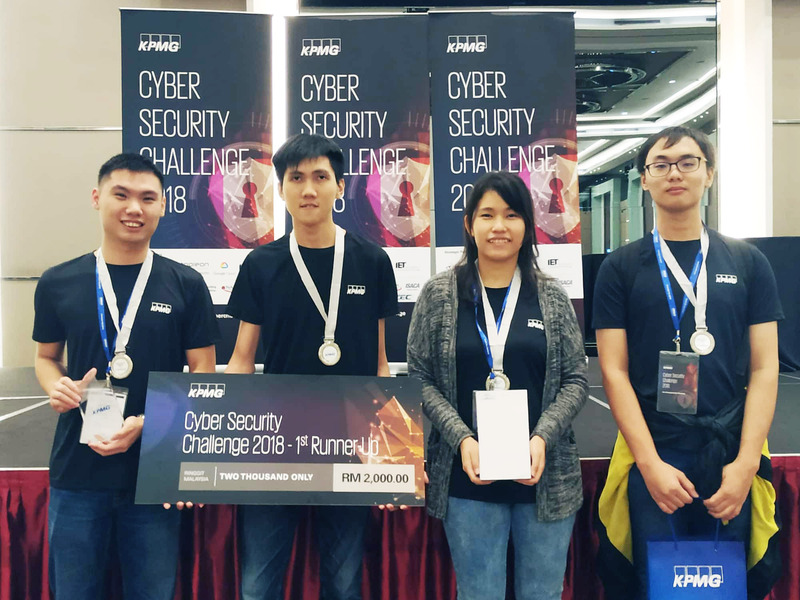 The team secured second prize and third prize in the KPMG Cyber Security Challenge in the category of Malaysia Challenge and Cross Country Challenge respectively. The team also qualified as one the best teams to compete in the Finals where they competed against the best teams from Thailand for the Cross Country Challenge. 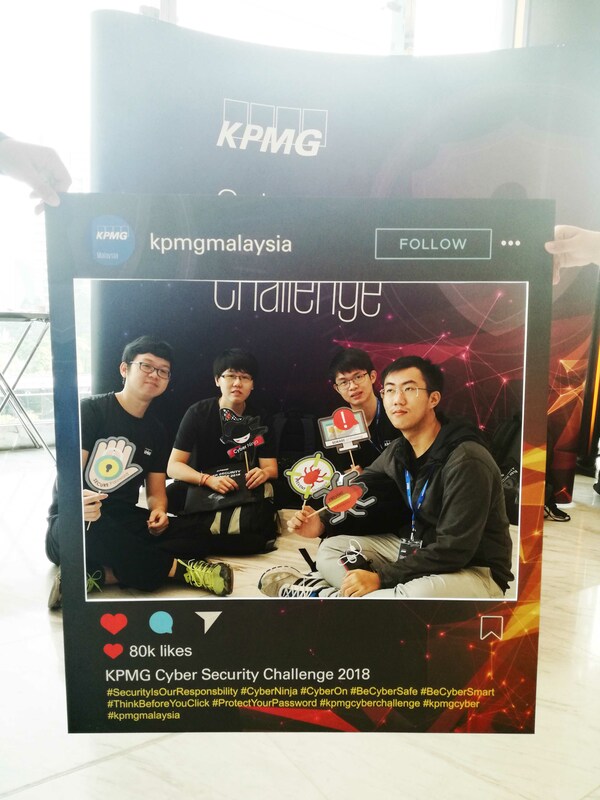 The KPMG Cyber Security Challenge 2018 was held on 28 November 2018 at Bangsar South. The team, An Unexpected Journey, was comprised of Lim Yun Kai, Lai Wing Khang, Chow Jenn Pang and Chan Yee San. They won the prizes and walked away with a cash prize of RM2,000. The team was mentored by FICT lecturers, namely Dr P. Vasaki, Dr Aun Yichiet and Dr Robithoh Annur. Held for the fourth consecutive years, this year the KPMG Cyber Challenge was comprised of two separate competitions, namely Cyber Technology Challenge and Cyber Security Challenge. 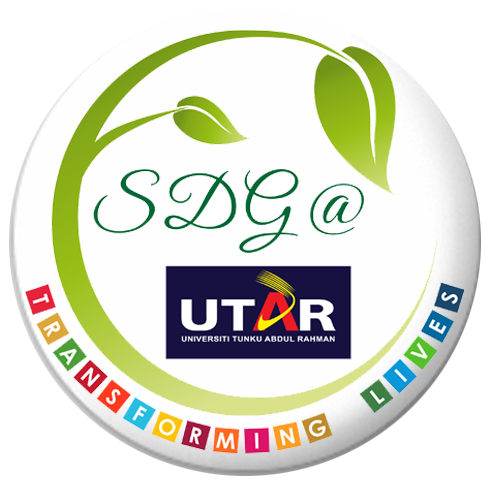 Both the Challenges focused on the ability of undergraduates in developing innovative and real-world business solutions. Under the Cyber Security Challenge, the participants were tested in reverse engineering, steganography, cryptography, programming, network analysis, infrastructure hacking, web application security and digital forensics. It also tested the participants’ thinking abilities in business terms by providing them with real digital fraud scenarios. The team, An Unexpected Journey scored 82.94% in the competition. In addition to that, another team of four, NoobCTF player which scored 61.28% won the fifth place in the KPMG Cyber Security Challenge 2018 and also qualified in the Finals. The team is comprised of Communications and Networking students Yeaw Yuan Hang, Tian Xiang Yang and Tai Li Ting, and Computer Science student Ho Lian De.